A touch of gold, diamonds, and ruby…. Known for the original gold rush, North Carolina also has one of the largest varieties of mineral species in the United States. From clays to gemstones to valuable ores, more than 300 mineral species exist within the state’s boundaries. The Colburn Earth and Science Museum has an amazing collection of gem stones and minerals for everyone to enjoy: emerald, sapphire, ruby, topaz, hiddenite, kyanite and much more. Admission is $6 adults, $5 seniors, students, and children over 5 years of age. The museum is open Tuesday – Saturday 10AM – 5PM, and Sunday 1 – 5PM. 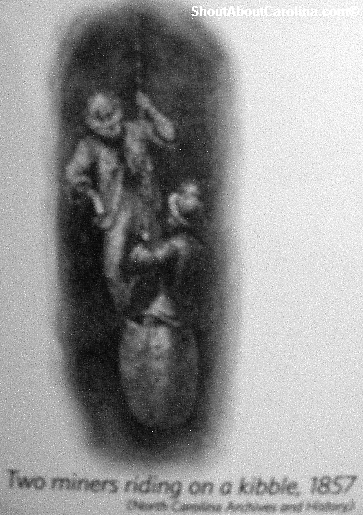 In 1879 Thomas Edison sends William Hidden, a New York engraver and rockhound enthusiast, to look for potential sources of platinum to be used in his new photograph invention. Hidden meets businessmen and fellow rockhound John Stephenson from Statesville, NC which shows him some unusual rock specimens found on a farm in present day Alexander county. Recognizing the potential value of the stones, Hidden quit his job and acquired the mineral rights of the Warren Farm near Stony Point, NC. Hidden hired a mining crew and soon discovered numerous specimens of emerald and other unidentifiable green stones. It was later determined that the mineral was a new variety of spodumene and was named “Hiddenite” in honor of the discoverer. George Kuntz, a good friend of Hidden and a jeweler for Tiffany’s recognized the value and beauty of the newly discovered minerals. 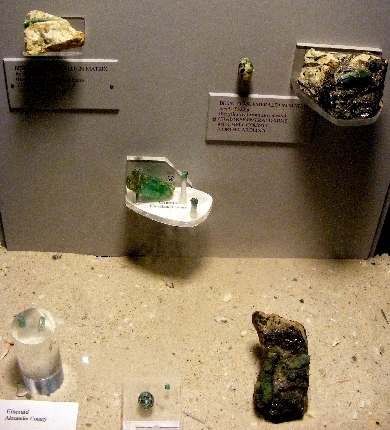 Kuntz created a domestic market not only for hiddenites but also for the emerald coming from the North Carolina mine. The real green beauty and power! Burnham Colburn retired to Asheville because of its proximity to North Carolina’s mineral fields. One of the first residents of Biltmore Forest and he had a museum in his home to house his minerals collection. Colburn sought out Col. Joseph Hyde Pratt, the State Geologist for North Carolina, who told him that hiddenite will be the most interesting mineral to collect. Colburn obtained the mining lease to the land and reopened the mine in 1926. He found quite a few good specimens, yet not enough to make a real profit. After two years, Colburn released the lease and donated his best specimens to the Smithsonian Institution in D.C., the University of South Carolina and the British Museum in London. 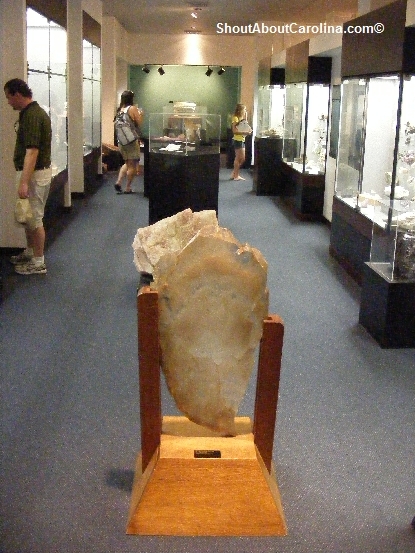 After his death the family donated the rest of his collection to the Southern Appalachian Mineral Society for public display, thus the precursor to the current museum was started. Emerald deposits are rare in the United States, and the best are in North Carolina. 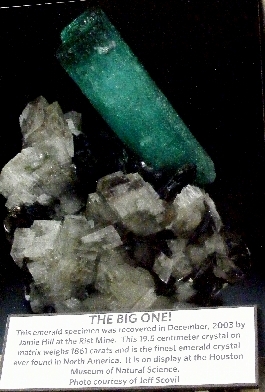 The largest single crystal emerald ever found in North America is from the Rist Mine in NC. Named the Stephenson Emerald, this crystal weighs 1,438 carats and is valued at over $50,000. Discovered in 2003 by Jamie Hill it is now displayed at the Natural Science Museum in Houston. The ultimate value of a natural star sapphire depends on the quality of the cut, color, clarity and definition. The Star of the Carolina displays a six ray asterism that enhances its value and exclusivity. 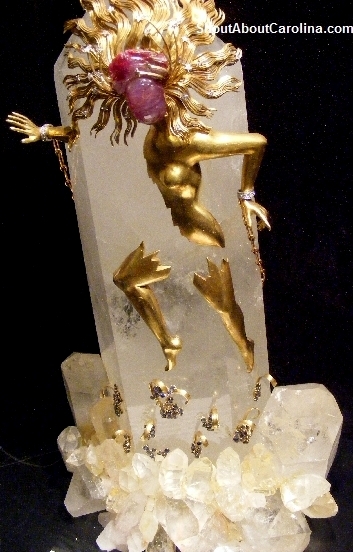 The uncut stone weighted one and half pounds, or about 2,847 carats. 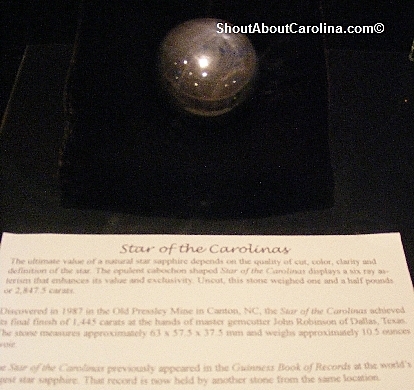 Discovered in 1987 at the Old Pressley Mine in Canton, NC, The Star of the Carolina achieved the final finish of 1,445 carats in the hands of master gem cutter John Robinson of Dallas, TX. The star appeared in the Guinness Book of Records as the world’s largest star sapphire, but lost it to another stone from the same location. 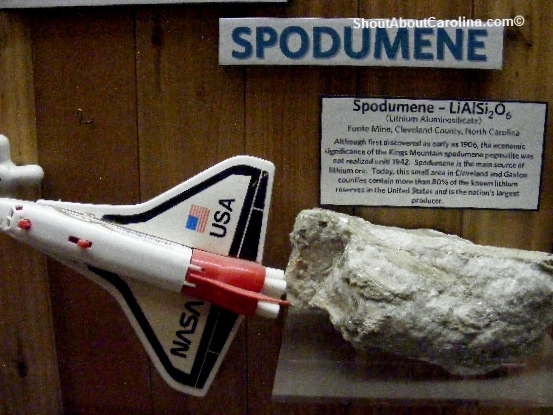 Spodumene was first discovered in 1906 in Kings Mountain,NC yet it didn’t gain economic significance until 1942. Spodumene is the main source of lithium ore, a very light metal used in many industries from aeronatutics to cars to electronics. A small area in Cleveland and Gaston counties contain 80% of the known lithium reserves in the United States and is the country’s largest producer. Granite – The 1 mile long Mt. Airy Quarry in Surry County is the largest granite quarry in the world. Mining operations began in 1889, and ever since granite from the mine has been shipped all over the world. 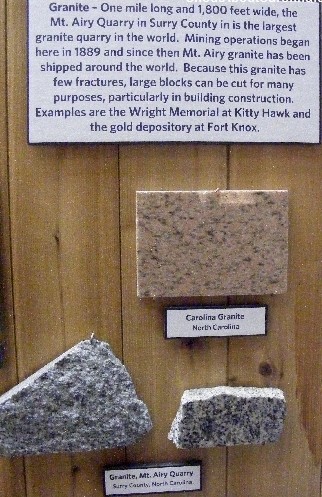 This high quality granite can be cut in large blocks and used in many construction projects like the Wright Brothers Memorial at Kitty Hawk and the gold depostory at Fort Knox. Discover the beautiful gemstones of North Carolina at the Colburn Earth and Science Museum in Asheville! 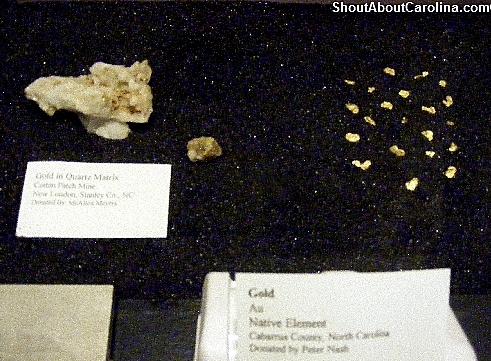 America’s first gold rush started in Western North Carolina by a lucky accident. Find out at the Colburn Earth Science Museum in downtown Asheville, that features an impressive collection of gems, minerals, precious metals, fossils and photographs documenting the rich mining history of North Carolina. It’s gold mine for history buffs, hobbyists and tourists. The museum is open Tuesday – Saturday 10AM – 5PM, Sunday 1 – 5PM. Admission is $6 adults, $5 seniors, students, and children over 4. John Reed, a Hessian soldier in the British Army, settled in Western North Carolina at the end of the Revolutionary War with other German immigrants. In 1799, Conrad, his 12 years old son, spotted a shimmering yellow rock while fishing on the family farm and brought it home. His parents, not familiar with gold, used the rock as a doorstop. In 1802, John Reed sold it to a jeweler in Fayeteville, NC for $3.50. He later found out the rock was a large gold nugget, returned to the jeweler and collected an additional $3,000. And so the country’ first gold fever began! The Reed farm quickly became the Reed Gold Mine. The creek where the rock was found was rich in gold for nearly a mile, and the area will later yield over 150 pounds of gold nuggets. 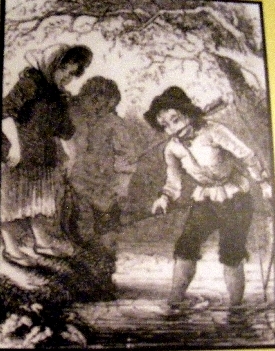 By 1825, most of the gold nuggets and flakes found in streams had been mined. A Stanley County farmer, Mathias Barringer, found an outcrop of quartz with a gold vein while following a trail of nuggets upstream. He realized the small nuggets found in rivers were eroded from the exposed gold vein. Baringer decided to extract gold from the rock rather than the stream, and so the first subsurface gold mine in North Carolina was born. 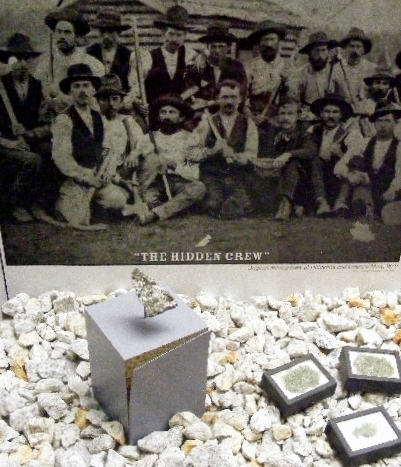 Prospectors began looking for “color”, the whie quartz vein that indicated the loction of gold. Most were not skilled in subsurface mining; serius accidents and deaths were fairly common. Immigrants from Cornwall, England and Germany brought mining expertise and technology. Examples include stamp mills, blasting and drilling techniques, mine shafts, drifts, beam reinforced ceilings and walls, and the Cornish-designed buckets (kibbles) that hoisted miners and gold to the surface. Underground work at the Reed Mine began in 1831. 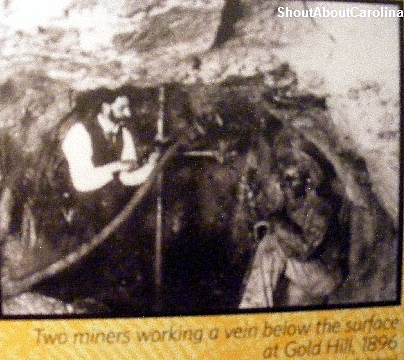 In 1842, miners found a 20 foot wide gold vein at Gold Hill in Rowan county. Mining veterans flocked to the area sensing good fortunes. By 1848, the town boasted 15 active mines, 5 stores, 4 doctors, and 27 saloons. The majority of gold mining towns in North Carolina (unlike th western mining towns popularized in movies), were fairly peaceful due to the strong religious background of the Cornish miners. 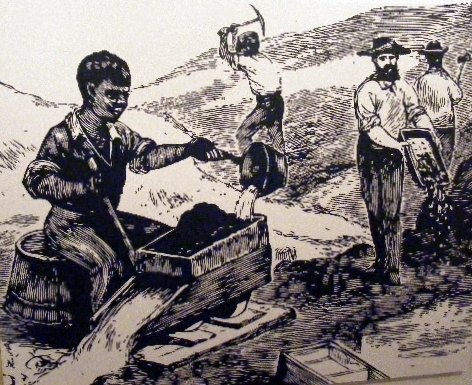 In the early 1800s, North Carolina was the nation’s sole native source of gold. The only U.S. Mint at the time was in Philadelphia. Because of long distance and poor transportation conditions miners looked for an easier and safe way to convert their raw gold into money. In 1831, Christopher Bechtler, a German immigrant entrepreneur, proposed to coin the miners gold for a 2.5% fee. The miners agreed and a min opened near Rutherfordton, NC. The Bechtler coins were so well accepted for commerce that during the Civil War the monetary obligations of the Confederacy were specified as payable in “Bechtler gold” rather than Union, Confederate or state currency. In 1835, the U.S. Congress authorized creation of the Charlotte Mint. Soon, Charlotte became a regional banking center, a position it still holds today.